Welcome to September! 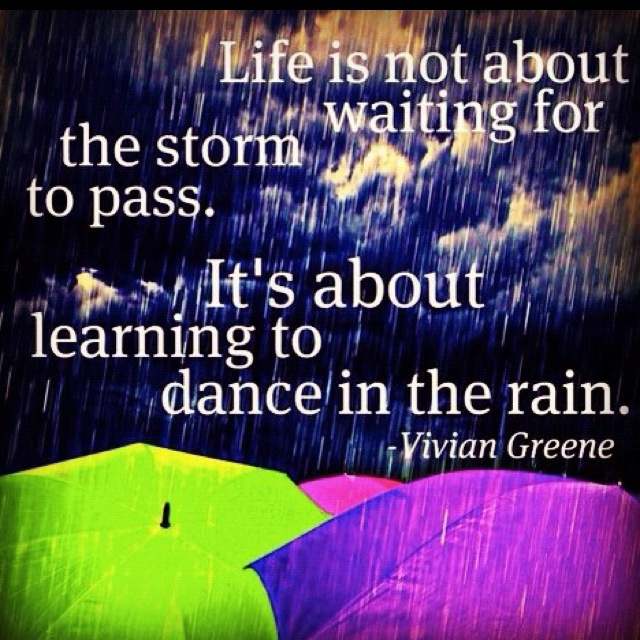 Our theme this month is " Life isn't about waiting for the storm to pass... it's about learning to dance in the rain!" After all the rain we've had this summer, this theme serves as a great metaphor to remind us to choose a positive attitude no matter what the immediate circumstances provide! 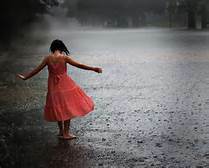 Acknowledge the beauty and purpose of the "rain" (obstacles or situations in our life that provide opportunites for us to grow) and learn to "dance in the rain!" (Enjoy the experience). 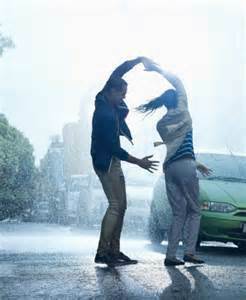 See our September Health Tip to learn more about "Dancing in the rain!" 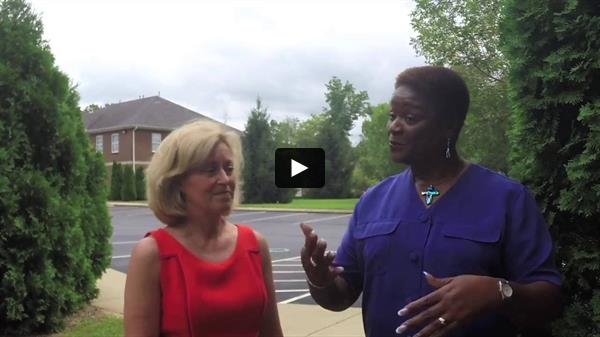 Our Practitioner of the Month is Reverend Yvonne McCoy. Yvonne and I met a few years ago when we both served on the Integrative Medicine Committee with Norton Healthcare. Yvonne is a certified Healing Touch practitioner and is in the process of becoming a Healing Touch instructor. I am thrilled to have her as part of our IIM family. She provides an additional dimension of Spiritual Health and Wellbeing. Her combination of essential oils, prayer and healing touch have resulted in deep healing and transformation in people's health. Her company is aptly named The Transformation Institute. * Saturday, September 10th - Reiki Level I begins the Usui/Holy Fire Reiki series with Patrice Masterson at IIM. * Saturday, September 17th - Be Well Naturally: An Experiential Seminar will take place at the beautiful retreat center of Valaterra Nature Sanctuary. This was a vision and dream of Valerie Young who had a lifelong passion for holistic living. I'll be presenting " Take Charge of your Health & Well-Being: Be Your Own Advocate." The day is approved for 7.5 nursing contact hours if you still need continuing education! 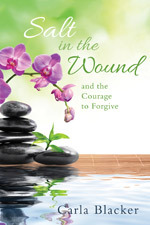 Treat yourself to an amazing day of healing AND get your nursing contact hours. * Saturday, September 17th and Sunday, September 18th - Yvonne McCoy will be sponsoring Healing Touch Level 3/HTSM 103 here at IIM. Come and learn to use your hands to heal! * Monday evening, September 26th - Dorothy Henning, Certified Feldenkrais Practitioner, will be presenting a special Feldenkrais Playshop here at IIM. 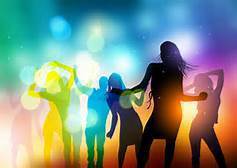 ~Interested in one of these opportunities? Check out the details on the SAVE the DATE! page in this newsletter. As we enter the fall season, just as the trees begin to drop their leaves, use this time to drop some non-beneficial habits and adopt beneficial ones instead. Join us in our new or ongoing programs and let us help you create and/or continue healthy habits. Enjoy September! And if it storms, you know what to do! 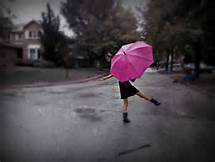 Dance in the rain! And into each heart some tears gotta fall..."
Envision deliberately letting go of regurgitated memories of past negative experiences and low emotional responses to them (Salt in the Wounds) and tranforming life into streams of contentment, abundance and worthiness. This is a great book to read to help you see the rainbow inside you and help you "dance in the rain." 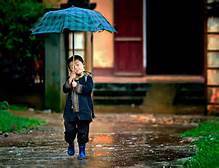 There are always going to be storms in life so learn to dance in the rain! Years ago I heard a powerful speaker who presented at the Critical Care Nurses National Teaching Institute. He told the story of riding a motorcycle in his 20's. He was hit by an oncoming car that caused his gas tank to explode, and he was burned over 70% of his body. But he had an amazing attitude. While in rehab, he met a wonderful nurse who eventually became his wife. He reminded us that 10% is what happens to you. 90% is your attitude toward it! 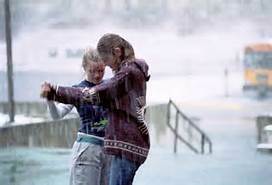 When our storms of life emerge, we must learn to "Dance in the Rain!" I'm here today with my colleague Yvonne McCoy, who is going to share more about learning to "dance in the rain!" Yvonne: Learning to dance in the rain is all about having faith that the rain is a necessary element that produces a favorable outcome; having hope or an expectation that the rain is providing nourishment that we need to strengthen and sustain us in times of drought; and having a mental picture of the beauty of the rainbow that is created after the rain is gone. We must learn that faith is the substance of things we hope for, yet the evidence of those things are unseen. Hope is the catalyst or the driving force that propels us forward in spite of what is going on around us. And above all, we must use prayer, our thoughts, attitudes and intentions to create and manifest positive results. 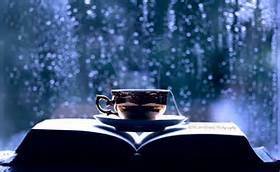 As we go through the seasons of life, know that our rainy season brings with it opportunities for fresh and new growth. 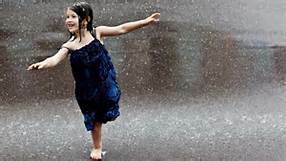 Dancing while in the rain makes us smile and often creates belly laughter too. 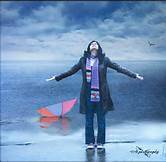 Laughter produces endorphins, and like an umbrella, acts as a shield to protect us from the negative effects of the storm. 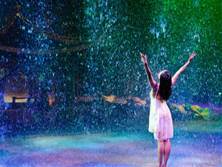 With faith, hope and a good attitude, we can learn to dance in the rain, allowing it to wash away our pain, then, from deep within comes the splendor of the rainbow that enables us to recognize the gain! Gastrointestinal issues are occurring quite commonly in many Americans today. In my research I found that one reason may be due to pesticides, specifically glyphosate. When a bug comes into contact with glyphosate, the insect's stomach explodes. Several studies have shown that glyphosate exposure is associated with leaky gut (intestinal permeability) in humans. This is a great reason to choose organic foods. The Physician's Elemental Diet powder that I described in the I've Got Your Back feature helps one to meet his or her nutritional needs without the body having to do much work in order to absorb and assimilate the nutrients. It is designed for the dietary management of irritable bowel, Crohn's disease, small intestinal bacterial overgrowth (SIBO) and moderate to severe impaired gastrointestinal function. Cynthia is trying the Physician's Elemental Diet out now. Be sure to ask her about her experiences with it! Also, in the I've Got Your Back feature I mentioned that our client used "Beela Broth" to transition back to whole healthy food after using a liquid diet. To make this, cover vegetables with water in a pot. Par boil green beans, celery and zucchini for about 10 minutes. Put the vegetables into a blender. Add as much of the broth left from the par boiling to create the consistency you want. If you want to make it thin to drink, add more water. If you want it slightly thick such as pureed, add less water. This is soothing to the entire gastrointestinal tract. It is full of vitamins and nutrients and very easy to assimilate, absorb and digest. Yvonne's additional offerings & services through the Transformation Institute include: Christian Spiritual Director, Life Coach, Retreat/Conference Educator. All services are performed from the foundation of unconditional love. Contact Yvonne for more information, or to schedule an appointment! This month I'd like to highlight Kelly. She came to the office at the urging of her friend, Mary, who is an existing IIM patient. Kelly had significant gastrointestinal issues presenting as severe bloating, abdominal pain, and mucus in her bowel movements. She told me that no matter what she ate, she would have abdominal pain, gas and bloating. She was depressed because she hurt so badly and could not eat anything without fearing a negative reaction. I had recently discovered that Integrative Therapeutics has launched a new product called Physician's Elemental Diet. This is a powder that when mixed with water is designed to give a person's intestines complete bowel rest due to it's ease of assimilation and absorption, and still provide the nutrients required for optimal body functioning. Kelly was anxious to try anything. She used a liquid nutrition for 4 days. Additionally, she used a recipe called Beela Broth* to transition back to whole healthy food. She took a high dose probiotic and digestive enzymes to further support her gastrointestinal health. When I spoke with her 5 days later, she excitedly told me that she was no longer having any abdominal pain or bloating. She also was passing little to no mucus. She has changed her diet, is avoiding all wheat / gluten, dairy, and is predominately eating organic whole foods. Cost: $55 before Sept 7. $65 after Sept 7. Fees include handouts & light refreshments. She holds certifications in Healing Touch as a practitioner from the Healing Touch Program, as a practitioner and instructor in the Healing Touch Spiritual Ministry program, and as a Certified Clinical Aromatherapist from the NAHA approved school taught by Rafael d'Angelo in Aurora, CO. She maintains a private practice in which energy healing, prayer and anointing with oils in an integral part of care. Professional memberships include: Alliance for International Aromatherapy, National Association for Holistic Aromatherapy and American Holistic Nurses Association. What is the Healing Touch Spiritual Ministry Program? The Healing Touch Spiritual Ministry program is an energy based therapeutic approach to health and healing built upon a Christian philosopy of caring. It integrates prayer, hands-on (energetic) healing and anointing with healing oils. We offer a program that is multi-level based in the Judeo-Christian scriptures. Students may apply for a national certification at the completion of all of the coursework. Designed within the nursing profession, Healing Touch Spiritual Ministry has a spiritual focus that uses touch to promote physical, emotional, mental and spiritual health and healing. The program is open to everyone. Who can benefit in taking a class? Registered nurses in parish nursing, ministers in parish and pastoral ministries, chaplains and nurses in hospitals, nursing homes and hospices, massage therapists, counselors, and the lay community seeking to explore a healing ministry involving the laying on of hands. The Institute of Spiritual Healing & Aromatherapy is a co-provider of nursing continuing education with the Healing Touch Progra (HTP). Healing Touch Spiritual Ministry Program Benefits: CE's for Nurses and Massage Therapists available through the California Board of Registered Nursing. Become an HTSM Certified Practitioner - Establish a credible healing presence in your community, church or institution. Case manage clients in an on-going healing ministry - emphasizing prayer, energy healing and anointing. BOOK THE DATE FOR SEPTEMBER! Usui Holy Fire Reiki II is an upgraded energy technique for stress reduction and personal healing practiced in the early 1900's in Japan. It is thought to be used in ancient Egypt and Tibet many centuries ago. Its aim is to keep the body and mind healthy. Karuna Reiki training and symbols are included from Lemurian, Atlantean, Egyptian and Biblical times. An overview of Vibrational History/Research in Medical Field and the use in hospitals is presented, as well as integrative tools of vibrational sound/breath/color, mindfulness and Universal Laws to open the flow of Reiki. Information on gemstones, color and sound are included to raise your vibration level using Karuna Reiki, Rainbow Reiki, Shaman Reiki and Huna Reiki. "Almost everyone has suffered the pain of a headache. Therapeutic massage is one natural alternative to traditional treatment with medication and avoiding those side effects. Massage relaxes the tense muscles, can help relieve muscle spasms and improves blood supply helping to create a healthier environment. Studies have suggested that massage can be helpful for tension & vascular headaches. Stress and anxiety are decreased due to massage's positive effect on the parasympathetic nervous system. Massage can be a great practice to add to your life for healthy aging." Fridays: September 2, 9, 16, 23, 30 10:30-11:30 AM Feldenkrais Class " Awareness Through Movement"
"Head up, heart open. To better days!" IN OUR COMMUNITY! ~ and beyond! "This day is dedicated to uplifting people around us and making a positive impact. 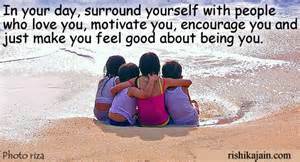 Make deliberate acts of encouragement, offering reassurance and inspiration to people around you." "To dance is to reach for a word that doesn't exist, To sing the heartsong of a thousand generations, To feel the meaning of a moment in time." Let us know if we may help you learn to dance in the rain!